Cripps River, approximately 1.6 miles in length, connects the River Brue at Cripps Bridge with the Huntspill River at Gold Corner. 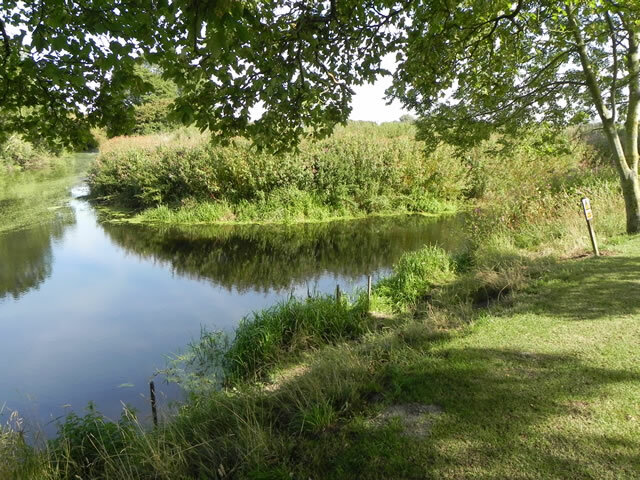 The meandering section from Cripps Bridge to just north of Eastern Moor Bridge was originally part of a loop in the River Brue which was taken out when the Brue was straightened through Liberty Moor in the early 1800's. This section was then connected to the South Drain as part of the Brue Drainage Act of 1801 as part of the improved drainage program. Originally constructed between 1802 and 1806 as part of the Brue drainage Act of 1801, it was designed to take the waters of the South Drain via the River Brue to the sea. When the Huntspill River was constructed in 1940 this use became redundant. It was renamed the Cripps River and in 1955 it was widened and an additional channel was created at its southern end to allow excess water from the Brue to flow into the Huntspill River.This flow was regulated by Cripp's sluice at the Brue end, the sluice is now redundant. The Cripps River also formed part of the route of the ill fated Glastonbury Canal which ran from Glastonbury to Highbridge. The canal opened in August 1833 and closed in 1854.